L'Chaim - In Hebrew, "Life" - This is my life! 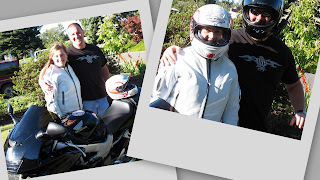 : My cousin Jeff took me for a ride on his bike. I felt the need for speed. I loved to stop and look at the beauty. My cousin Jeff took me for a ride on his bike. I felt the need for speed. you are so funny! I love it..."I felt the need for speed!" You rock! Give me a call sometime soon and we'll catch up.